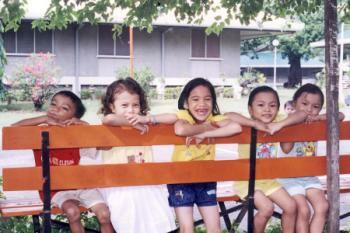 SOS Children's Villages has been working in the Philippines since 1967 and in Davao on the island of Mindanao since 1981. The children in the Philippines continue to face dreadful conditions and our organisation provides families and children in need with support so that they can stay together. With about 1.5 million inhabitants, the city of Davao is the largest city on the island of Mindanao in the southern Philippines. It is an important economic centre: there are gold mines nearby and the area produces a considerable amount of fruit which is exported through the commercial port. As the economy of the city has expanded, so has its urban landscape. Thousands of people commute daily in order to work or do business in the city. Many people from rural areas move to the city on a more permanent basis. Other regions of the island continue to have high poverty rates and this pushes people to migrate to the city of Davao, in search of a brighter future for themselves and their families. However, the majority of the people who come to the city in search of a better life end up joining the thousands of urban poor and living in slums. They live in improvised housing with dirt floors, no clean water and no sewage system. Access to other services such as education and health care are also lacking. Families living in these conditions struggle to make a living and look after their children. As parents go out to look for work, the children are often left alone at home. Very often children are also forced to give up on their schooling and go out to work. As they spend time out on the streets, they are exposed to exploitation and violence. There has been an increase in the number of street children, many of whom end up joining street gangs. 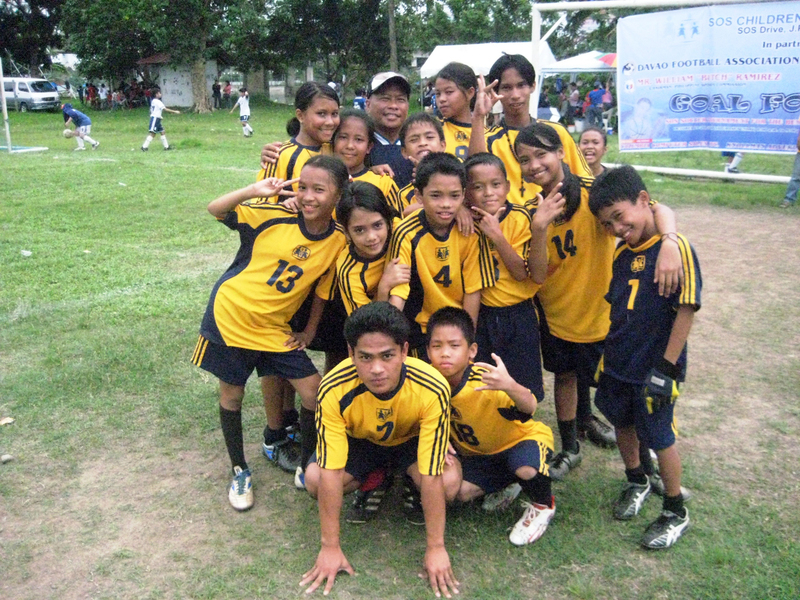 SOS Children's Villages has been present in Davao for over three decades. In this time we have become well-known and respected advocates of children's rights. For example, we work very closely with the Davao City Council for the Welfare of Children and Helmut Kutin, for many years President of SOS Children's Villages, was declared an "Adopted Son of Davao City" for his contribution to the support of children's rights in the city. Children who have lost parental care can find a loving home in one of the 14 SOS families where up to 150 children can be looked after. The children grow up with their sisters and brothers in a familial environment full of love, respect and security. The children from the SOS families attend lots of activities organised by the local community, and the activities we hold are also open to neighbouring families. The children in our care are offered special support according to their needs, be it with their school work or with therapy. As the children grow up, they can join our SOS Youth Programmes. With the support of qualified professionals they are guided through this new stage of their lives, as they start vocational training courses, attend higher education and look for work. The young people are encouraged to develop perspectives for their future, learn to shoulder responsibility and increasingly make their own decisions.